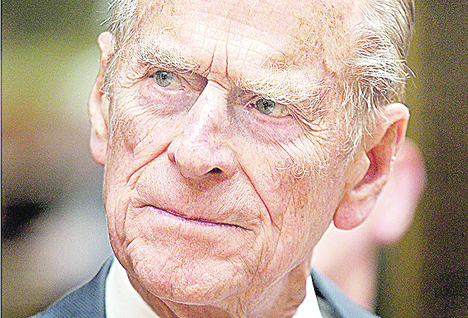 London—Britain’s Prince Philip has been spoken to by the police for driving without a seatbelt—just two days after the 97-year-old was involved in a car crash. Images published in Sunday newspapers appeared to show him behind the wheel of a replacement Land Rover Freelander on his wife Queen Elizabeth II’s private Sandringham estate on Saturday. Meanwhile, a woman who broke her wrist in Thursday’s crash near the royal country residence in Norfolk, eastern England, has reportedly complained about not receiving an apology from the Prince. “I’m lucky to be alive and he hasn’t even said sorry. It has been such a traumatic and painful time and I would have expected more of the Royal Family,” Emma Fairweather, a passenger in the Kia which collided with the Prince’s Land Rover, told the Sunday Mirror. A police family liaison officer, however, did call to pass on a message to Emma, who was in the vehicle with a friend and her nine-month-old baby, she said. “The message he passed on didn’t even make sense. He said, ‘The Queen and the Duke of Edinburgh would like to be remembered to you.’ That’s not an apology or even a well-wish,” she added. The crash, which left the Prince’s Land Rover on its side, happened as the royal patriarch pulled out of a side road onto a busy main road. The prince walked away from Thursday’s crash shaken but uninjured, according to a passerby who helped him out of the vehicle.